The Income Tax department of the central government, the sales tax department of the state government and other local authorities “who are entitled for dues arising out of the existing law” can now initiate corporate insolvency resolution process against such companies who owe them the dues, the National Company Law Appellate Tribunal (NCLAT) has held. These tax departments will be considered as operational creditors of the debtor companies and all statutory dues including income tax, value added tax and others will come within the meaning of operational debt, a two-member Bench headed by Justice S J Mukhopadhaya said on Wednesday. The NCLAT’s judgment came on various appeals moved by the income tax and other services tax departments of the various states against decision of various benches of National Company Law Tribunals (NCLT). In one such case, the sales tax department Maharashtra had challenged the decision of the Resolution Professional of Raj Oil Mills Limited to not call the tax agency to the meeting of the Committee of Creditors (CoC). It had also claimed that the dues owed to the tax department did not come under operational debt, and hence it should not be considered as an operational creditor. In its judgement of Wednesday, the NCLAT however, held that since operational debt in normal course meant a due arising during the operation of the company, all statutory dues owed to the income tax department, along with others would be operational debt. “As the income tax’, value added tax and other statutory dues arising out of the existing law arises when the company is operational, we hold such statutory dues has direct nexus with operation of the Company. For the said reason also, we hold that all statutory dues including ‘income tax’, ‘value added tax’ come within the meaning of operational debt,” the NCLAT said. 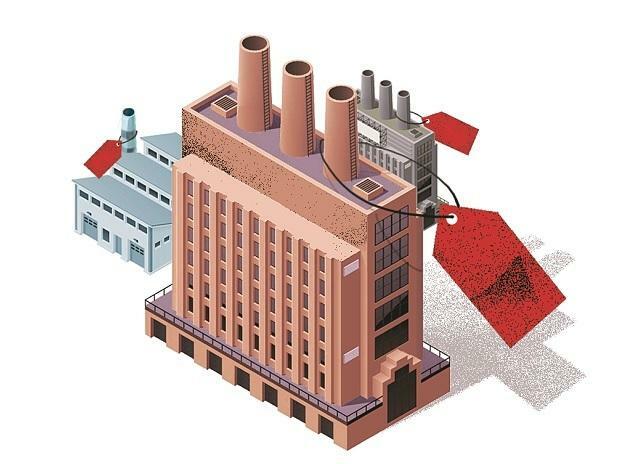 In another case, the Principal Director General of Income Tax of Mumbai had challenged a ruling of NCLT Mumbai alleging that it had approved a resolution plan for Raj Oil Mills Limited which gave a maximum of Rs 2.58 crore to the department against the total claim of Rs 338 crore. This settlement for 1% of the ‘crystallized demand’ was against the mandate of Income Tax Act of 1961, the department had claimed. However, as the successful resolution applicant had proposed to repay the all the Rs 338 crore dues of the tax department over the next three years, the plea was been disposed-off by the NCLAT.